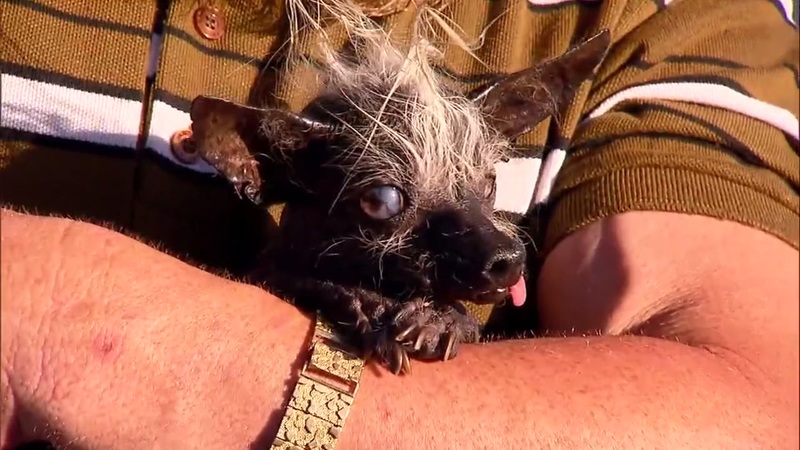 PETALUMA, Calif. (KGO) -- Meet this year's winner of the World's Ugliest Dog Contest at the Sonoma-Marin fair. "Sweepee Rambo" is a 17-year-old Chihuahua, Chinese crested mix. Owner Jason Wurtz wins a trophy and a $1,5000 cash prize. Sweepee Rambo won second place in the contest last year, but she stands alone this year as top dog in the annual competition.